Did you know that there are a range of crimes that you can report online such as hate crimes and non-injury road traffic collisions? Did you know that there are some instances where the police might not necessarily be the right people to contact to help you deal with a particular issue? 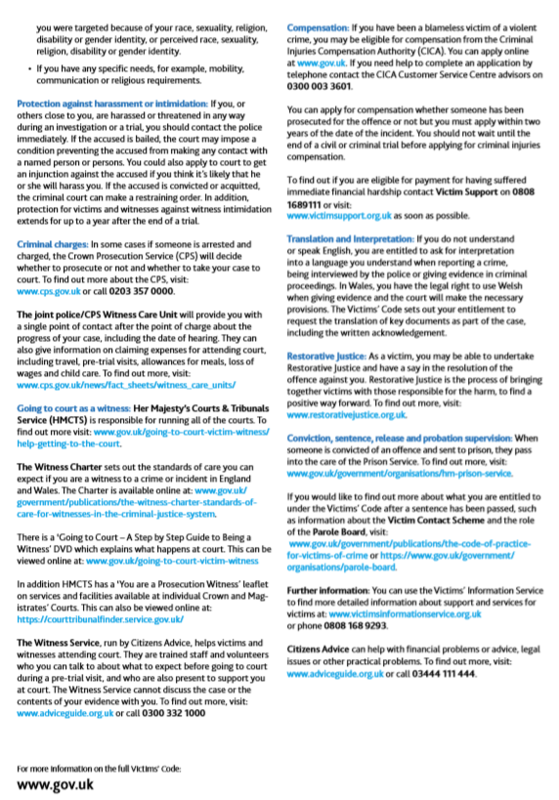 Check out the Humberside Police link below which offers guidance around which crimes you can report online and those partners you need to contact on particular issues such as antisocial behaviour to abandoned vehicles to make sure you make the right call. 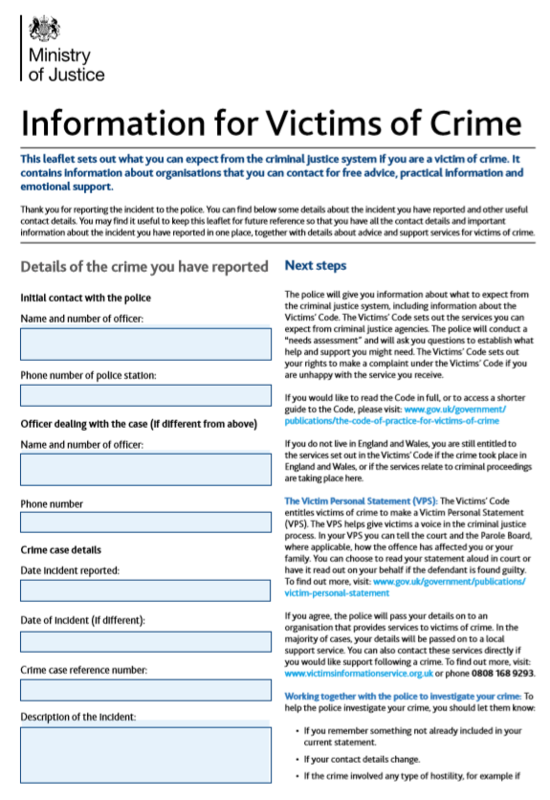 Once a reported crime has taken place, all victims should receive a ‘Victim of Crime Leaflet’ offering advice on other agencies who may be able to support them further, see below an example of this form.